He says Ukrainian prosecutors are aware of this. 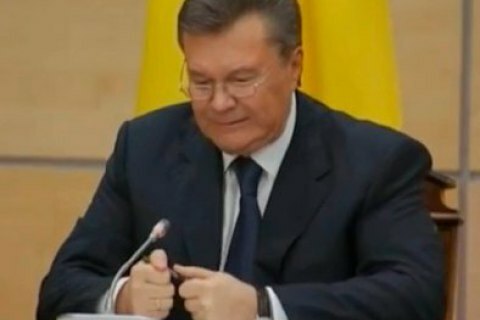 The main migration department of the Russian Interior Ministry in Rostov Region has officially confirmed that former Ukrainian President Viktor Yanukovych is staying in Russia "on the basis of a temporary asylum granted to him", Interfax has quoted his lawyer Vitaliy Serdyuk as saying. He said this proved wrong any reports that Yanukovych had changed citizenship. The lawyer said the Prosecutor-General's Office of Ukraine was aware of Yanukovych's status in Russia. The Constitutional Court of Ukraine will start checking whether Viktor Yanukovych was legitimately stripped of the president's rank on 19 October. VI National Expert Forum "Key issues of the year"